We have a set of Frequently Asked Questions which cover our products, as well as installation and purchase/delivery queries. Please note that this page is in BETA stage, which means it will be updated on a regular basis over the next few weeks. 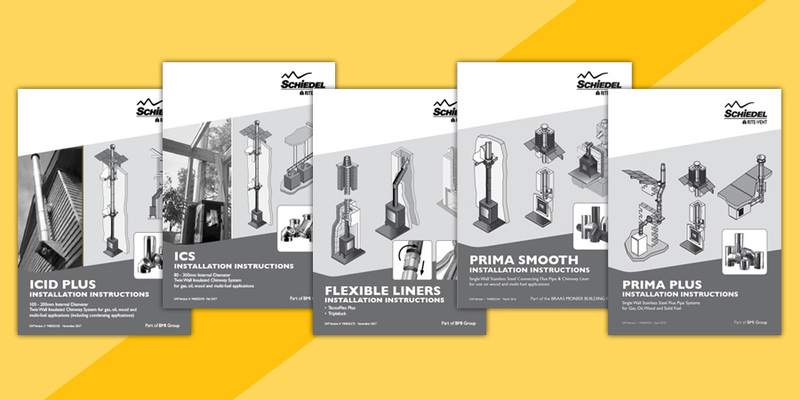 All our installation guides are available as PDF downloads, so feel free to click here to download. The guides contain far more detail on installation along with important safety advice, as well as guarantee requirements. An air vent is required for safety reasons, to ensure that there is enough oxygen available for a stove to burn wood efficiently. The stove requires combustion air, but DEFRA approved appliances do not always need external air vents. Most houses in the UK don’t need any extra ventilation if the stove is rate at 5kW or less. An air vent is needed for anything above this. How can I reduce downdraft? Down draft issues can be caused by a number of reasons, such as insufficient height of the flue and also pressure zones. The first test is to try and raise the chimney out of the pressure zone. This can be done by the means of a temporary flue to test if the procedure has worked, then a permanent flue size increase after this. How can I eliminate or prevent condensates in flue? Condensates won’t be entirely removed, but disposal is important, so any ‘horizontal’ runs should allow for a minimum 3° slope and therefore, where required, 87° bends and 93° tees must be used rather than 90° bends and tees to allow the condensate to run off and a tee plug or drain cap used. Increasing the diameter of the flue will help to increase the draft. In some cases, fans are used, but this isn’t entirely necessary and would be a last resort. We have an extensive article about distance to combustibles which has all the information needed – click here. It all depends on the size of the fireplace. The larger the fireplace, the larger the diameter. The flue diameter must be 15% of the cross sectional area of the fireplace opening, then it’s the consideration of the height. What kind of flue do I use for a boiler? Each boiler can be different, so it’s best to have a look at the user guide of the boiler to determine the type and the diameter of flue. Our brochure, Choosing the Right Flue for your Appliance can also give you some guidance on the correct flue to use. 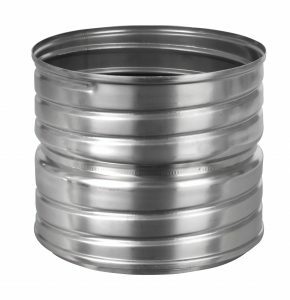 Do I need to put sealant in the joint between flue pipe and the Isokern stainless steel adaptor? How do I fix the adaptor to the support block? Do I need to bet the support block? Which way up do the outer casings go? Which way up do the inner flue blocks go? What distance do I need to combustible materials? How do I finish the outer casings? Can I offset the chimney? Do I need casing ties? Casing ties are only normally needed for external chimneys (2 every 1.5m) internal chimneys normally get their support from the floor and loft boards. Can I change to a brick chimney above the roof? Yes by using a concrete corbel slab in the loft space just below the roof. Do I still need the outer casings inside the brickwork? Do I need a lead tray and weep holes? How do I finish the chimney stack? Do I use lip glue to bed the base slab? No, you can bed the base slab on mortar which will help to level it. How much lip glue do I use? Lip glue should be applied using the application bags provided, you should create 20-25mm beads of glue and apply as per the video instructions. The finished joint should be 2-3mm thick. Do I need to glue the firechest to a back wall? No, the firechest can be built against a wall but not glued to it. How do I fix the damper in place? The damper should not be fixed or bedded in place to allow for expansion, its weight will hold it in place. No, The damper is there to close the flue off when not in use to save on heat lose, it must be opened before lighting. Can I put timber against the firechest? The firechest must have 100mm of masonry to each side and behind the back of the firechest. You can finish the front with plasterboard on dabs or render using mesh. Timber can go against the surrounding 100mm of masonry, 40mm is required from the front face of the gather to timber, A wooden fireplace surround can go against the face of the firechest. How do I finish the inside of the firechest? You will need firebrick slips, these are 50mm thick for the back and base and 25mm thick for the sides. How do I fix the Firebricks? They should be glued on using the Firebrick Mortar and then pointed in, the base bricks should be laid loose, the front row can be glued in. What combustion air is required? We state in our instructions and brochure how much free air is required for combustion for each model. Can I put the combustion air inside the firechest? The free air must be provided to the room via air bricks into the walls, floor or ceiling but cannot be put into the opening. Where do I use Lip Glue? Do I need reinforcement rods? If you cannot secure the chimney to the wall with suitable ties then you will need rods and if the chimney is more than 1.4m in height above the last point of contact with the roof. The rods should be fitted at least 600mm down into the foundation. What do I poor around the rods? You should poor a grout mix (1:3 cement/sand) around the rods as you go. How Do I seal the soot door spigot into the access flue block? It is supplied with fibre rope seal that wraps around the spigot. No sealant is needed. What do I do with the flue block void below the soot door? How Do I seal the flue pipe into the access flue kit? You will need fibre rope to wrap around the flue pipe as it enters the casing and flue block. Make sure the flue pipe is cut so it doesn’t block the flue way. You can render directly to the outer casings with a suitable waterproof render. The recommended mix is 1:2:5-6 cement:lime:sand for the undercoats and 1:2:8-9 for the final coat. For rendered chimneys you only require suitable lead flashings. The render finish must be made waterproof. Contact us on 0191 4161150. Items can incur a re-stocking fee. We have a distribution network, as well as various merchants who retail our products. Our products are available from various builders merchant and distributors. 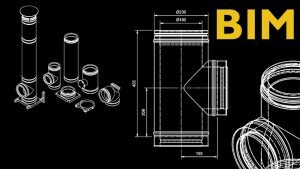 We have a distributor list on our Product Information Finder, which will allow you to select products, add them to a wish list and print, or email that to your chosen distributors..
How much are carriage costs? Depends on quantity, as well as date of delivery. Do you deal direct with Stove Shops or installers? We don’t deal directly, but have a network of distributors and merchants nearby to you. Do you deliver direct to site on our behalf? We can, please contact us for more details. Do you know where your nearest distributor is in my area? I you visit our Product Information Finder, you will be able to enter in address details and find the nearest distributor to you. Which days do you deliver into my area? We can deliver next day if required. For our other ranges, under normal operating conditions and providing the system is installed correctly, it should last the lifetime of the appliance which is normally 10 years. Burning only approved fuels in accordance with the Schiedel Rite-Vent and appliance manufacturer’s instructions. For recommended fuels listings, please refer to the HETAS guide (www.hetas.co.uk), or appliance manufacturer’s instructions. Warranty registration details are provided with installation instructions for completion and registration with Schiedel Rite Vent. Do locking bands come with the pipe? Locking bands are only provided with twin wall systems such as ICS and ICID and also the HP5000 range. How many seals do people need? In general, only 1 seal per joint is needed. What is longest flex in 250mm diameter and 300mm diameter? The longest flex in 250mm diameter is 12 metres and this can be coiled. The longest flex in 300mm diameter is 12 metres, but this cannot be coiled and will be shipped as a straight length. The lengths can be connected using a Screw fit joiner, which can be available at the larger diameters on request, however it’s not always recommended to have a joint within a flex system unless there is no other option.